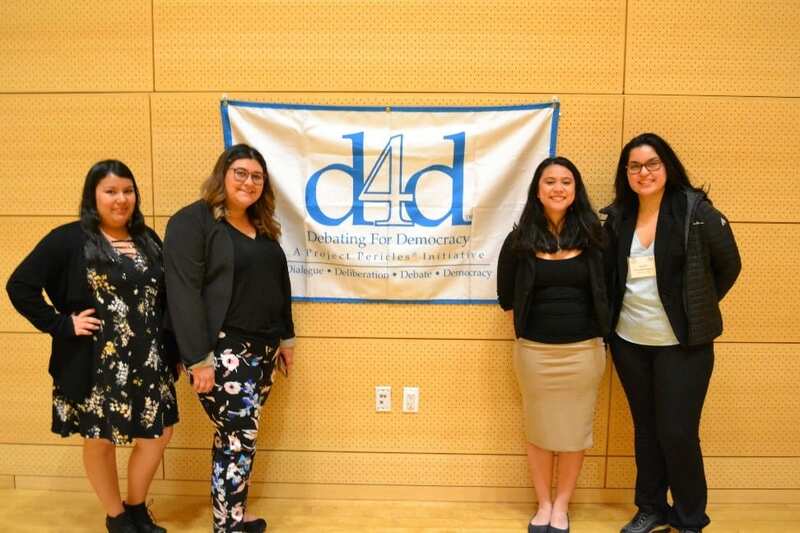 Earlier this week, four students traveled to New York for the national Debating for Democracy conference hosted by the Project Pericles network. Two of the students, Ameliz Price-Dominguez ’22 and Salma Anguiano ’22, were competing in the annual Letters to an Elected Official contest. The students’ letter proposed new legislation to prohibit insurance companies and employers from discriminating against workers who seek compensation after an injury, based on immigration status, which they sent to US Senator Ron Wyden of Oregon in early February. 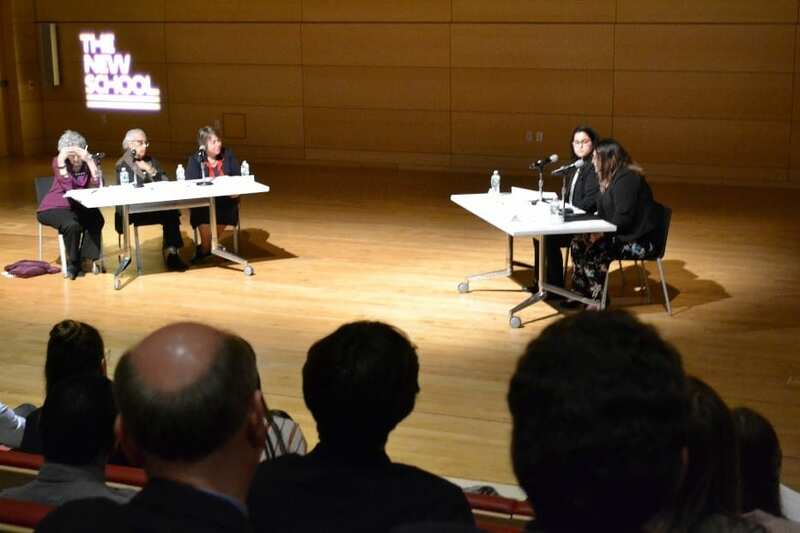 The conference took place at the Eugene Lang College of Liberal Arts at The New School and gave nearly 100 students from the 31 colleges in the Project Pericles Network an opportunity to meet policy makers, activists, journalists and other media agents, community leaders, and other social change agents. Also representing Whitman were Mayrangela Cervantes ’20 and Lizbeth Llanes Macias ’21 and the students were accompanied by Director of the SEC, Noah Leavitt. Alma and Salma’s letter was selected as one of the top five letters submitted in the contest and so yesterday afternoon they defended their proposal before a panel of expert public policy leaders (one of whom was former Under Secretary of Education in the Obama administration Dr. Martha Kanter) in a legislative hearing format. When all was said and done Ameliz and Salma were selected as one of the two teams that tied for first place – the first time that in the 15 years of the conference that the judges allowed a tie! As part of their prize, the students won $2000 to use toward implementing their policy proposal over the next year.